Wahoo! I'm so excited for you!!! Congratulations and I'm off to check it out right now! Congrats! Just popped over and It looks fantastic! I just adore the mix of color and prints in your bedroom! At long last!! Bravo chica. Heading right over. Fun and fabulous! Congrats Lindsay! WOOP! can't wait to check it out! celebratory drinks are in order (cause, you know, i can drink now). Love it!! It looks so great!! Yes girl! Hell yes!!!! So excited for you! Congrats! I know it took a ton of work to have the house camera ready and you knocked it out of the park! I really want to see your leopard runner though! So good! I can't believe how much you have done in such a short time. Bravo. Love the bathroom wall covering!!! Wonderful job! Whattt?! CONGRATS LADY. 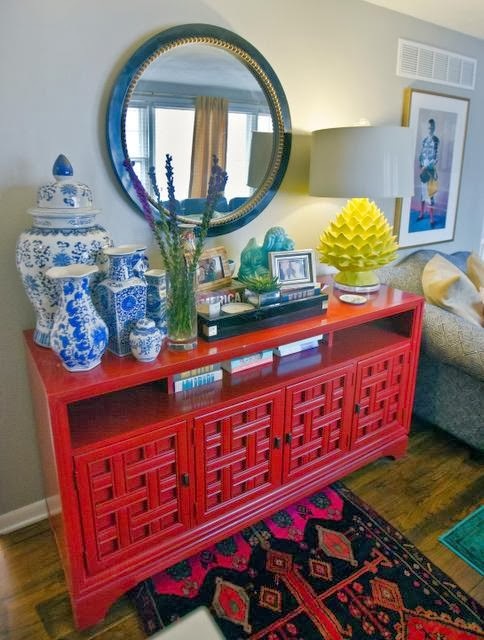 Your house is such a bright and cheery space! You truly deserve all this success and recognition! COngratulations!! You are such a tastemaker. Love every corner...off to see it!! Woo hooo, looks amazing!! Still adore that bathroom wallpaper! You inspired me to go with wallpaper in my powder room...love love love it!! 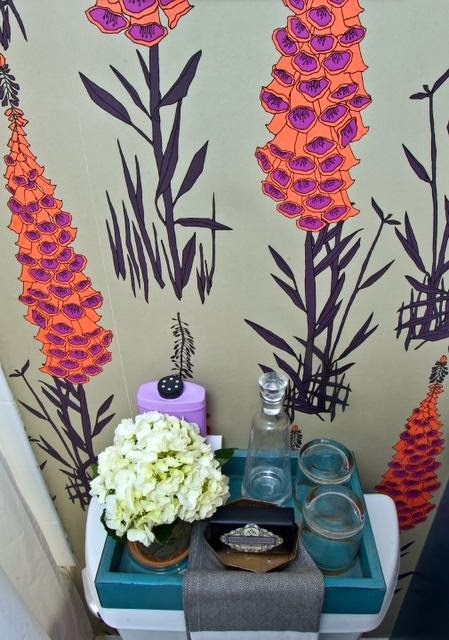 I will never get over the Osborne & Little wallpaper. It is extraordinary! Congrats! Everything is so beautiful!!! Absolutely stunning! 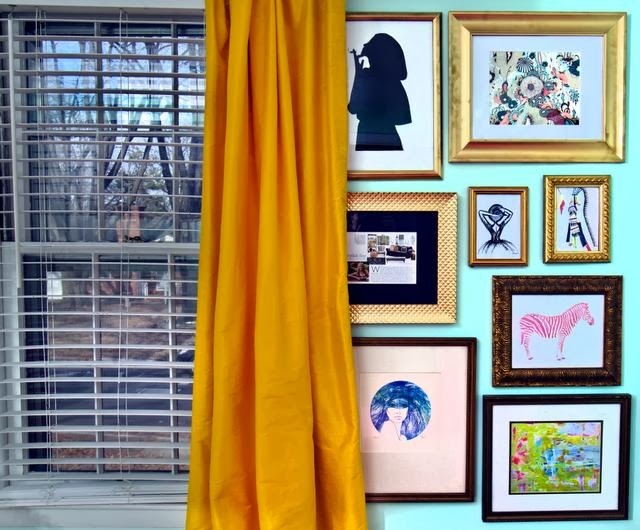 Love your art wall + marigold curtains.